Katy Perry has never been afraid of shaking up the internet, be it with her words, her music, or her looks. Katy first took a trip to the barbers in March, days after her split from Orlando Bloom, transforming her blonde bob into a cool, short cut with a long fringe. And despite some slight ribbing from fans who called her Justin Bieber and Miley Cyrus, Katy embraced her new shorn look – so much so, that she’s now gone a step further and had even more hair cut off. 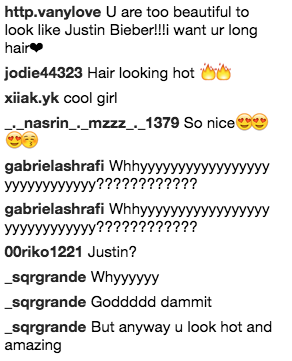 She debuted her platinum blonde pixie cut on Instagram late on Monday night (10th April) – and we think she looks great! 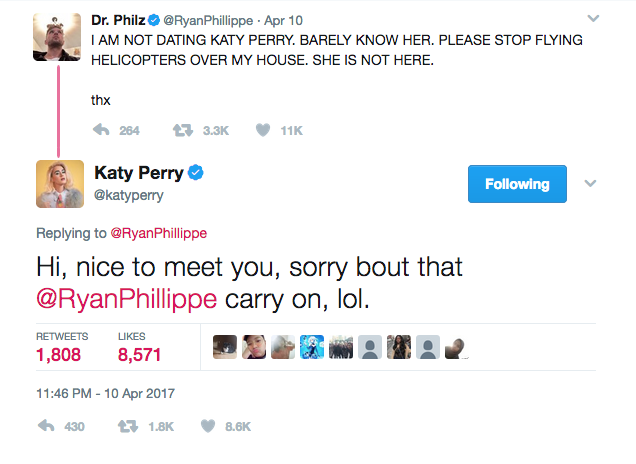 Elsewhere, the Chained To The Rhythm singer also had the internet in stitches on Monday with her response to actor Ryan Phillippe‘s declaration that contrary to rumour, they are not dating – meaning that there’s no need to have flying helicopters above his house, looking for the inside scoop.